With the launch still very fresh and marketing efforts spinning up, FFT is currently seeing 40% of their traffic come from organic Google searches. The Law Firm of Friedman, Framme & Thrush, P.A. merged in early 2018. 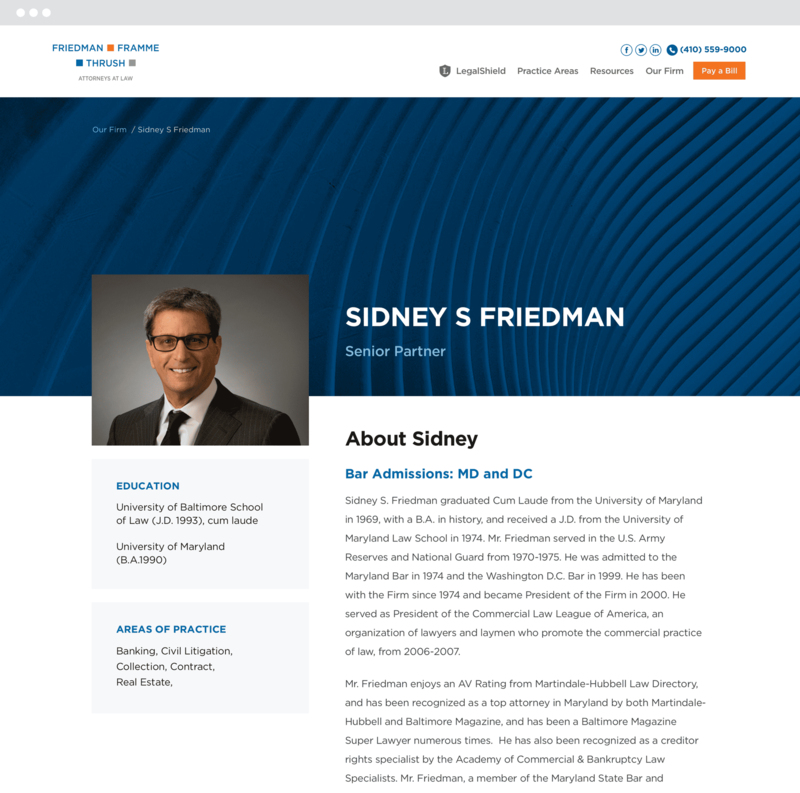 As a result of the merger, the firm needed a new website to be the landing point for their new digital presence. FFT wanted to build a site that allowed prospected to quickly peruse their Practice Areas. We presented FFT with an idea to allow easier intake for each Practice Area. The new intake provides prospects with the faces of their Legal Team and connects clients directly to the call center to quickly augment new inquiries who need immediate assistance. 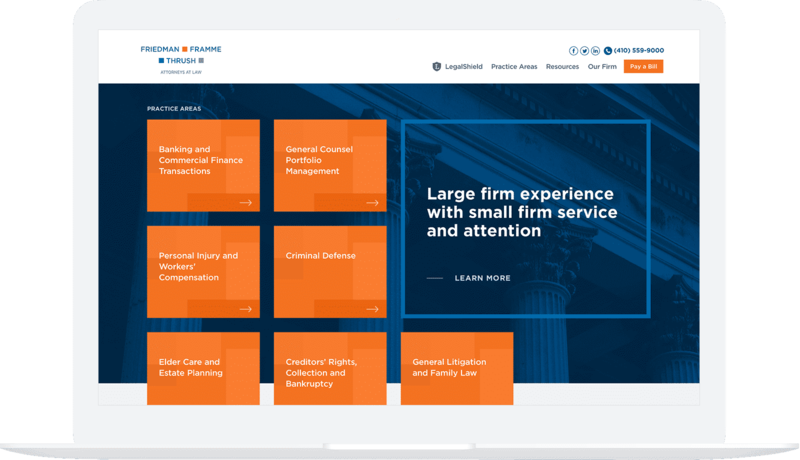 To streamline workflow the Marketing Department, a custom WordPress plugin was developed to keep all FFT attorney profiles synchronized with fairdoc, a Legal Practice Management tool. 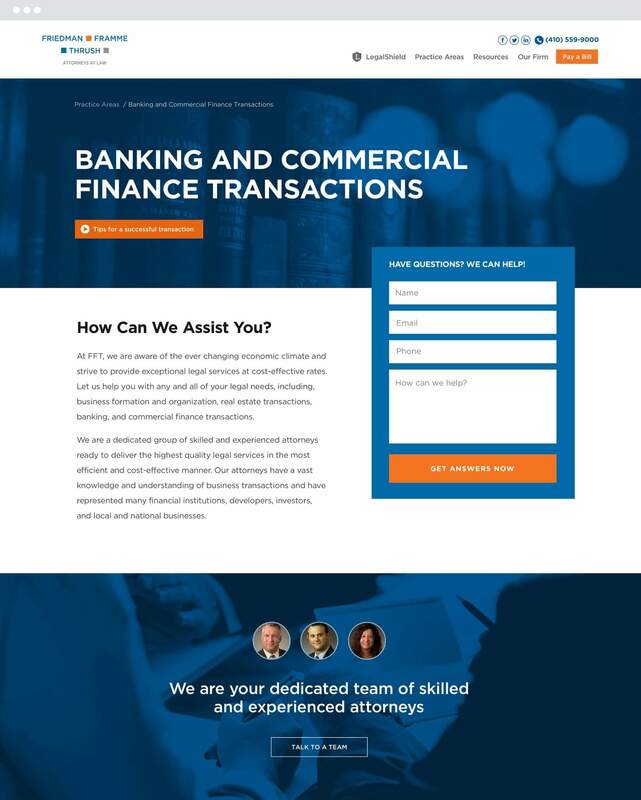 FFT’s WordPress marketing website reflects their new branding and highlights their partnership with LegalShield.